Whether traveling for a luxury vacation or business, our Sweden jet charter brokers can arrange a private flight to/from anywhere in Sweden and neighboring areas. Travel to Europe using our Sweden private jet charter service and arrive in style. The country of Sweden, also known officially as the Kingdom of Sweden, is located in Northern Europe neighboring Norway and Finland. Visit and experience museums, parks, old towns, scenic walks, historic buildings, canals, cultural history, and more. 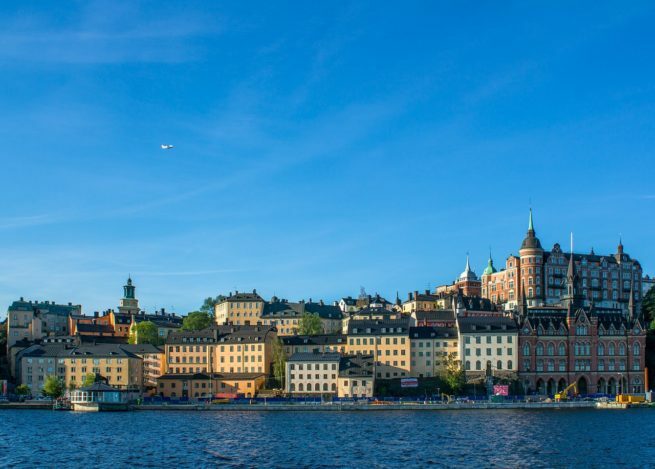 Many of our Jet Charter Europe clientele choose Stockholm (Capital of Sweden), Gothenburg, and Visby as their top travel destinations when visiting Sweden. Each of these cities have unique attractions and activities for travelers of all ages. The peak of tourism around the country is during the warmer month of June. May is also a popular month for tourism as well, with temperatures being more relaxed, but travelers may see increased chances for rain. Request a Quote or give us a call at 1-888-987-5387 to speak with one of our Sweden private jet charter service brokers for your next luxury vacation, business trip, or special event.